The Beer InCider Festival returns to Brisbane for a fourth year with its biggest line-up of breweries to date. 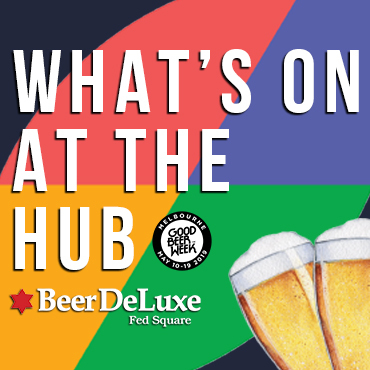 The festival has also moved to new and larger digs – the Brisbane Showgrounds – while maintaining its support of Independent Brewers, 15 of whom are appearing at Beer InCider for the first time (scroll down to the bottom for the brewer lineup). As well as the 300 beers and ciders on offer on September 22 and 23 is music bill featuring Ball Park Music, City Calm Down, Cub Sport, Butterfingers, The Hard Aches, Darren Middleton (of Powderfinger fame), Machine Age, Hazlett and West Texas Crude. There's also close to 20 food stalls to sustain guests through the weekend. Tickets cost $35pp plus booking fee (or $30 if bought in groups of four or more) and can be snapped up here. The night before the festival takes place is The Beeries, an awards night celebrating the local beer community that you can read all about here. 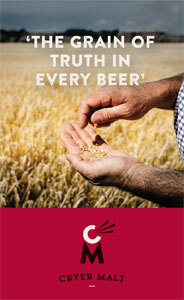 We've lined $700 worth of tickets to give away to existing Crafty Cabal members and new signups. If you're already a Crafty Pint supporter, simply head into your member's area to enter the ballot to win one of eight tickets. We'll pick and notify winners on August 31. If you'd like to become a Crafty Pint supporter and gain access to all the exclusive events and year round deals they receive, now's a great time to sign up. We've got six double passes for new members on offer – so you'll get $70 value instantly for your first year's $99 membership. Head here to become a Crafty Cabalista!